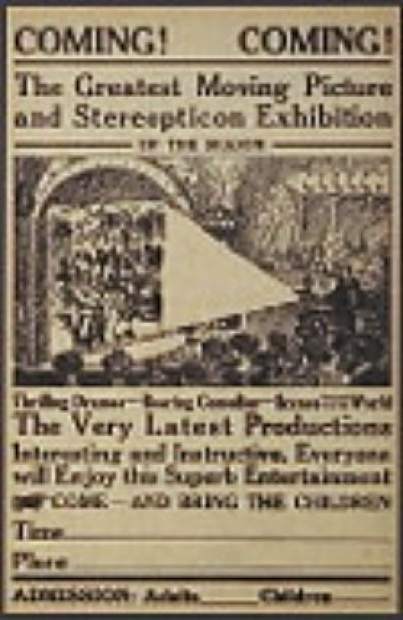 Stereopticon shows, similar to themed slide shows, gained popularity during the 1880s. Before marketers developed the concept of Black Friday, shoppers encountered few stressful reminders of fast-approaching holidays. On their own timetables, nonetheless, they sought the perfect gift for each loved one. During the late 1880s, stores vied for customers and offered trendy as well as traditional items throughout the Christmas season. Many of the gifts they proposed would not appeal to today’s shoppers. Cigar holders and cigar cases would satisfy the men in your life. Jewelry stores proffered moss agates, somewhat rustic luxury items. Silk and wool, the most popular materials for everything from mufflers to dresses, would keep the ladies warm and elegant. But cleaning the fabrics kept them less so. A gadget-laden phone may rank high on everyone’s gift list today. But in those days, communications took place in the same way that laundry did: by hand. And handwriting called for the appropriate implement. The Corner Book Store featured gold pens and pencils to enrich the writing experience. Those who desired a technological advance utilized a fountain pen. You could purchase opera glasses at the same shop, for use at the Wheeler after you completed the correspondence of the day. Staats, Hunt and Co., nicknamed the Cheap Cash Store, tempted customers with discounts on items they intimated came from New York City. They offered gold watches for $30. They described one with Elgin movements as “a good article for a small amount of money.” Although that price sounds like a bargain, converted to today’s dollars the watches cost $700. Staats stocked a bargain for children, 50 dozen child-size handkerchiefs. I wonder how to measure the excitement that children felt about hankies back then, and how to convert that to the inflated excitement of today. For a really special someone, you could splurge on beaver cloaks and jackets at Staats. The fur garments competed with “Parisian dress goods that are catching the eye” from J.W. Smith and Company. If Paris won out, you could justify your holiday wardrobe by adding one of the store’s Ingrain carpets. The reversible rug qualified as a twofer. Several stores in Aspen promoted books as a custom-fit Christmas gift. A.L. Evans and Co. recommended Mrs. Shillaber’s Cook-Book: Practical Guide for Housekeepers, a gift that called for some diplomacy in the giver. At Christmastime, The Aspen Times published Thomas Nast’s caricature of Santa Claus. In 1889, the right jolly old elf appeared during the afternoon before Christmas. His presence delighted children at the Wheeler, but the real draw entertained the parents. Santa introduced a stereopticon show, the Victorellis’s travels around the world. A stereopticon may sound like a three dimensional stereo photo system, but it more resembled a magic lantern, or slide projector in today’s parlance. It contained two lenses with lights. A glass slide could be shown with one lens and then quickly switched to the other. The result: One image dissolved into another. Stereopticon shows, the precursor to motion pictures, maintained popularity from the 1880s through the 1890s. Aspen’s residents of 1889 could not text a holiday message replete with emoticons and special effects. Today’s electronics save both money and time. But you can’t examine grandma’s texted signature for clues about her health. You can’t display your texts on the mantle, or tape them to the frame of the dining room mirror. And you can’t cut out the emoticons and use them to decorate next year’s packages. This is why, now as before, we still select a special Christmas card, uncap a fountain pen and scribble a holiday greeting.